During the past few weeks, I’ve been participating online in the MIT Medialab Learning Creative Learning course. Last week, the topic was interest-based learning. All of the media for the course can be found on the syllabus page and I recommend it as an invaluable resource to every teacher. What I took from the session sealed the proverbial deal for my personal debate over homework. I think homework is almost always a waste of time. It can be helpful to develop study habits, and I do assign a weekly spelling packet for that purpose. Spelling is a topic on which I dislike using much time in class, and it’s a topic with which parents can easily help. Mathematics homework, I’ve found, is generally either busywork (the student understands already) or a frustrating nightmare (the student doesn’t understand). I prefer not to assign math homework. My solution is to let the students set their own learning goals and use the inquiry process to pursue them independently at home or elsewhere. My role is that of consultant and organizer. It’s critical that they reflect on their work, so I’m developing a Google Form which the students fill in each week on our class blog. Please feel free to participate and fill in the form, as well. We’ve had a few guest participants and it’s been exciting to compare their results with our own! The results thus far have been excellent. To make it even better, all of their self-assessment data is being organized in spreadsheets for future analysis. As a next step, I’m considering turning them on to this DIY badge website. That way, they could have an awesome resource to inspire and assist with their learning which is independent from school, if they wish to use it. I work at a very unique school. It’s an international school, although very small. We are an IBO PYP Candidate school. 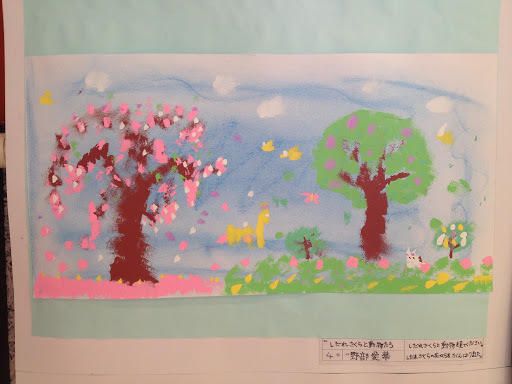 What makes us unique is that we are the international division, so to speak, of a Japanese public school. I see it as an experiment, really, to see what benefits will arise from the arrangement. Day to day, all of the students play together during breaks in the yard. We have English classes after school and fair use of many of the facilities like the music and art rooms, gym, pool, etc. We have ‘exchange activities’ in which the international students join groups and participate as thought they were part of the class. Altogether, I’d say it’s an ideal arrangement for foster international mindedness. 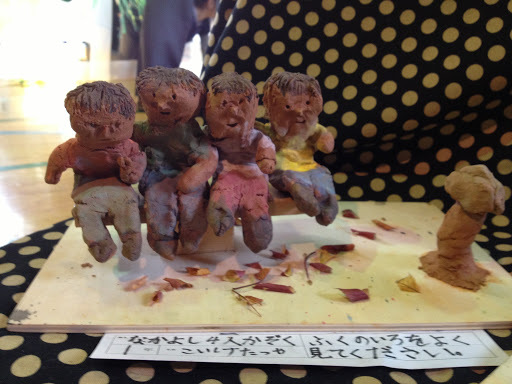 It was an epic event, organized by the Art teacher. 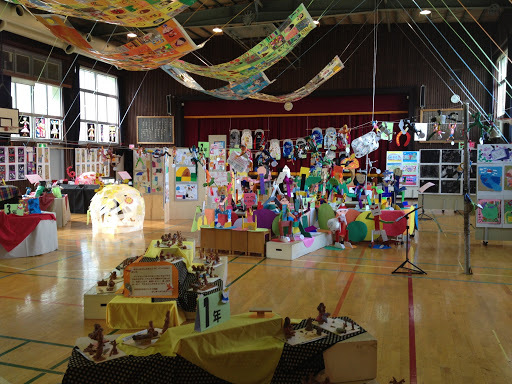 Art, Music, and PE teachers in this Japanese public elementary school are not part-time, budget-permitting employees. They are respected faculty and are responsible for coordinating major projects. I approve whole-heartedly. Our contribution was received very well. My class made the rainbow in front. 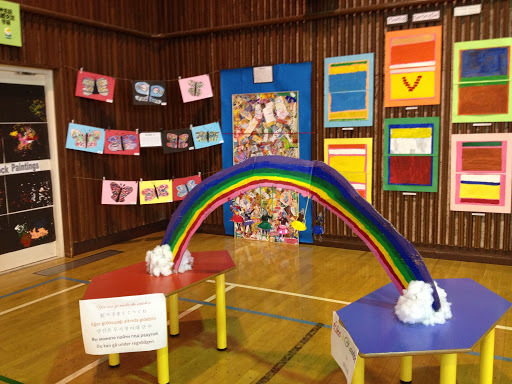 It featured a sign which read ‘You can go under the rainbow’ in several different languages and decorated black and white photographs of the students ‘swinging’ from the rainbow. My role, as conductor, was to moderate discussions and appropriate materials, although most key decisions were made by the student project leader. I think it’s great to watch kids in action when they have time and resources to make something. 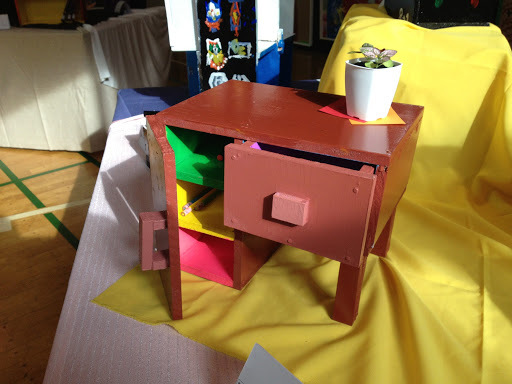 I was stunned by many of the works, and also by the thoroughness of the media represented! This piece clearly expressed the concept of change to me. The saddest kid in the gallery. The happiest kid in the gallery. The importance of friendship and belonging. I’d put this in my home. 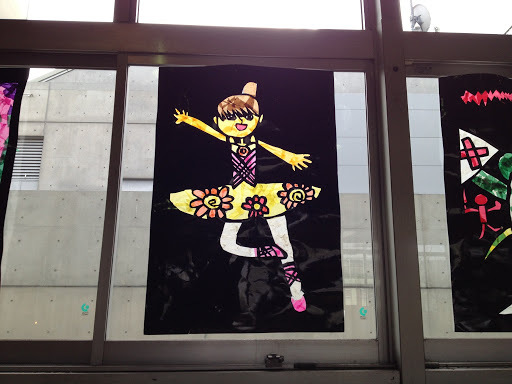 My reflective insight is that we need to give children time to express themselves. Not just teachers, but parents and society, too. Our kids will be overwhelmed, just like us, later. Now is their chance to wonder and wander, so let’s let them! When the conductor enters the stage, there is rousing applause. As a teacher, I have never been afforded such an honor. 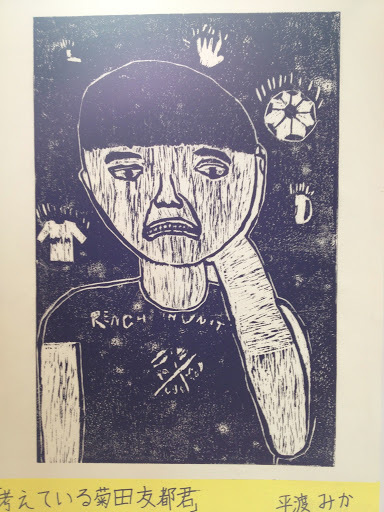 The closest I’ve come is to walk into a room full of students who suddenly cease talking upon noticing me or engage in a rousing chorus of disparate requests. Yet, I am a conductor. I am a conductor of ideas in a symphony. The word symphony has two meanings. The first is the orchestra. There is the ‘classical’ instrumentation: violins, violas, cellos, woodwinds in pairs, horns, timpani, but even within the classical era, it changed. In fact, the purpose of the symphony orchestra was to be able to create any sound. Over the centuries, dozens of instruments have been added as permanent members, some just for special effects, some to fulfill some kind of creative, if not sometimes bizarre, vision. It’s just like a classroom. My classroom is my orchestra, prepared to suit the creative, if not sometimes bizarre, learning needs of anyone who happens by. The traditional classroom had chairs, like mine, and books as well. But mine has an interactive whiteboard and wikipedia. The other definition of symphony refers to the form. Again, there is a traditional form. Not to be too specific, there are movements in related key centers. Each movement follows a dance form, tempo, and rhythm. If you’re curious, listen to as much Haydn as possible, and notice the similarities between his symphonies because he’s the source from which scholars derived the notion of the classical symphonic form. 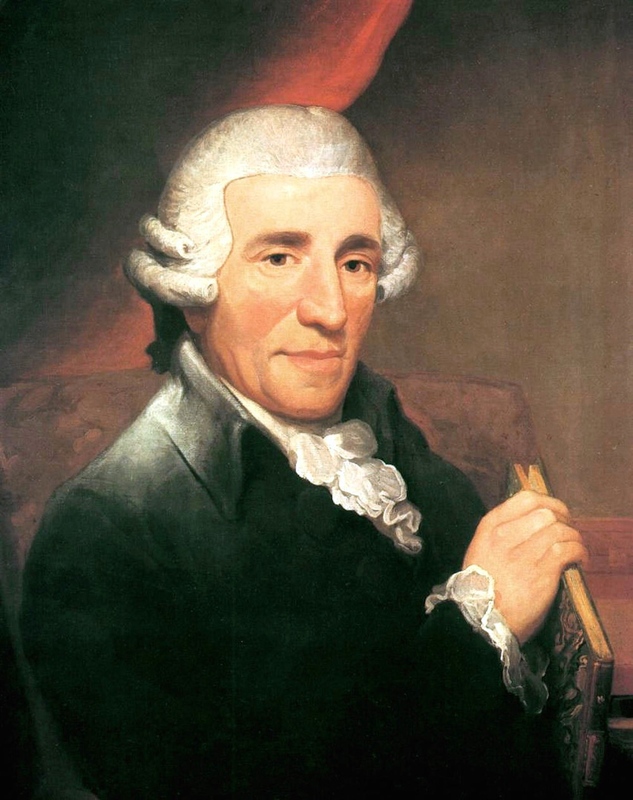 Although not known for my frilly neckwear, I do kind of look like Maestro Haydn. Thankfully, composers have ravaged the classical symphonic form mercilessly. From Sibelius’ Symphony No.7 in one movement to Messiaen’s Turangalila Symphony in ten, and beyond, the form has always been at the command of creativity and the musical expression of the times. The analogy can be applied to learning. What children learn now may only slightly resemble what they might have learned in the eighteenth century, because it is the purpose of the classroom to prepare students for life in their time. The creativity of each student individually and in collaboration with each other determines the form, ensemble, and ultimately, the performance. Every child is unique. Every path to understanding is unique. Every idea is unique. The students are the orchestra. I am their conductor. Our ideas are our symphony. 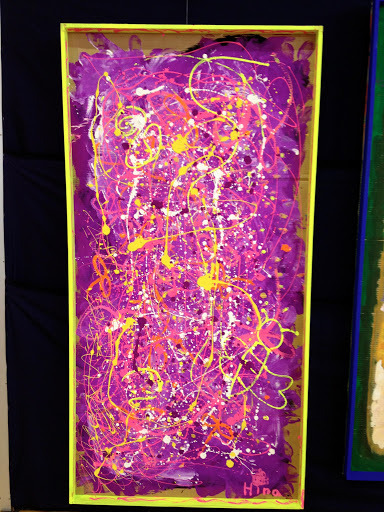 Posted on February 11, 2013 Categories Arts, social creativityTags ISTE1a2 Comments on Cue the conductor.